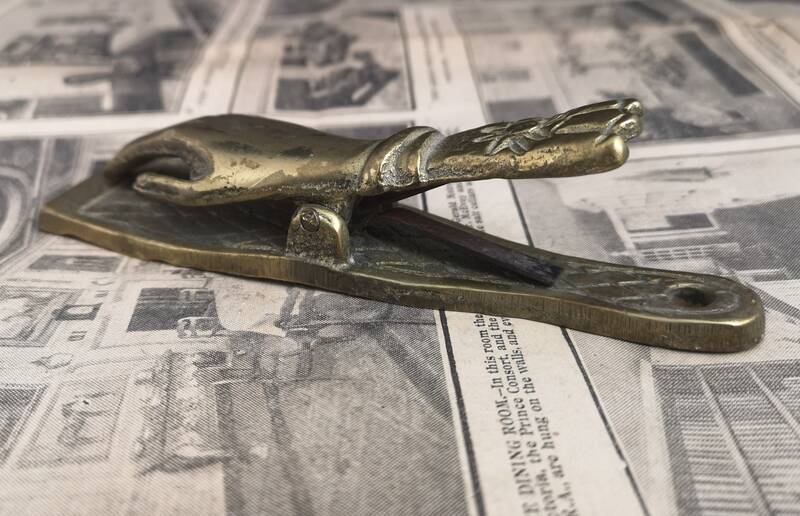 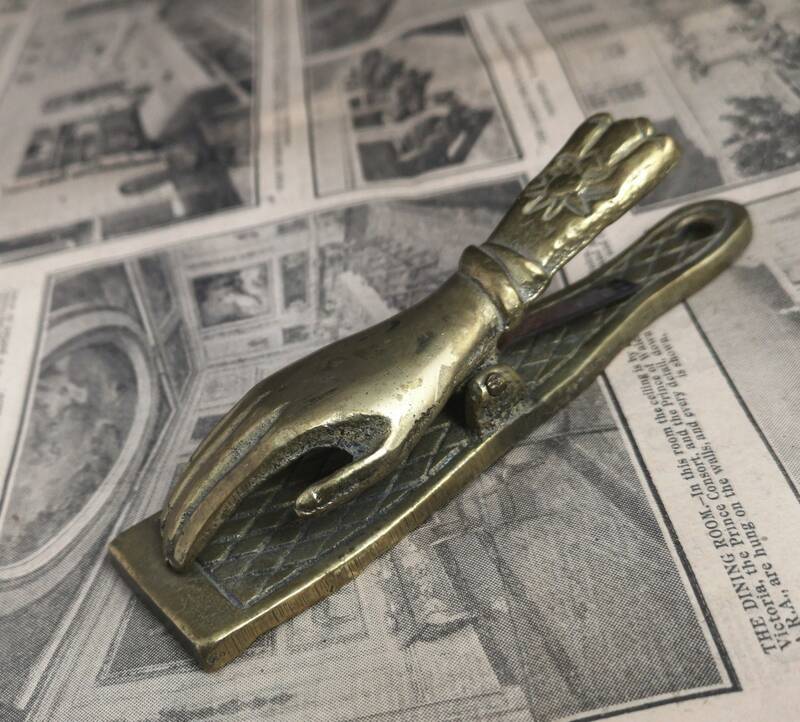 A lovely Victorian solid brass desk clip or paper clip in the traditional form of a hand. 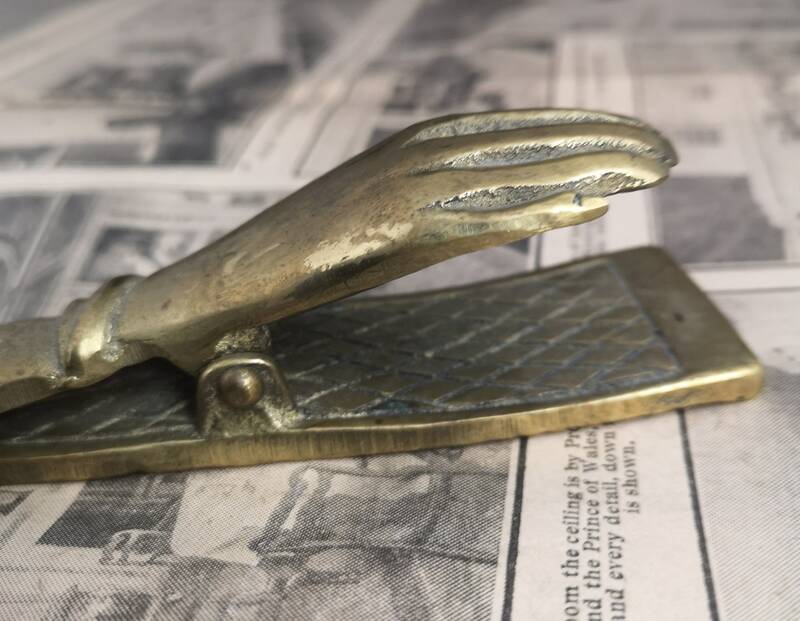 It is solid and heavy and would make a very grand piece of desk decor, large enough to hold a decent sized pile of papers / receipts / letters etc. 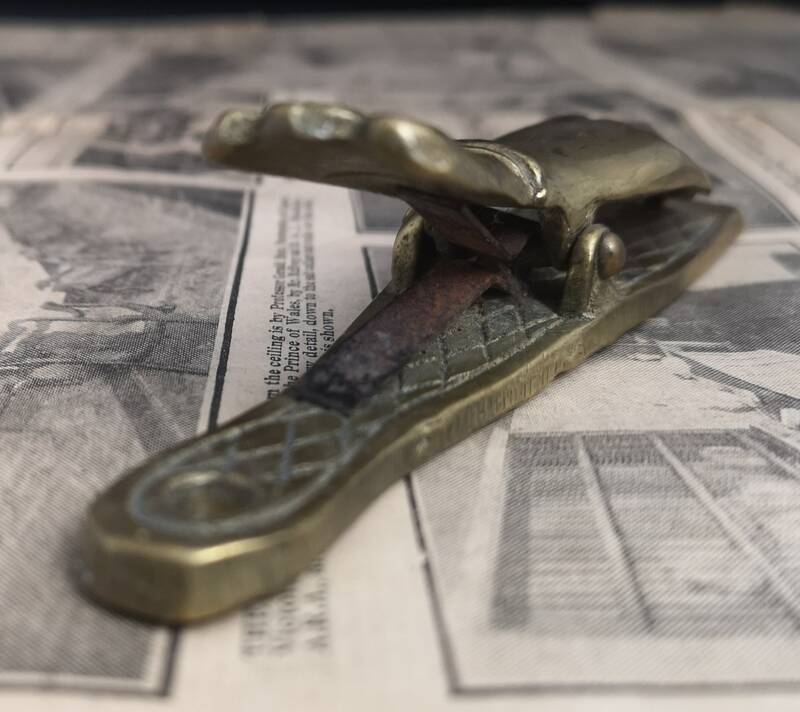 It has a criss cross lattice effect on the bottom and the original clip mechanism. 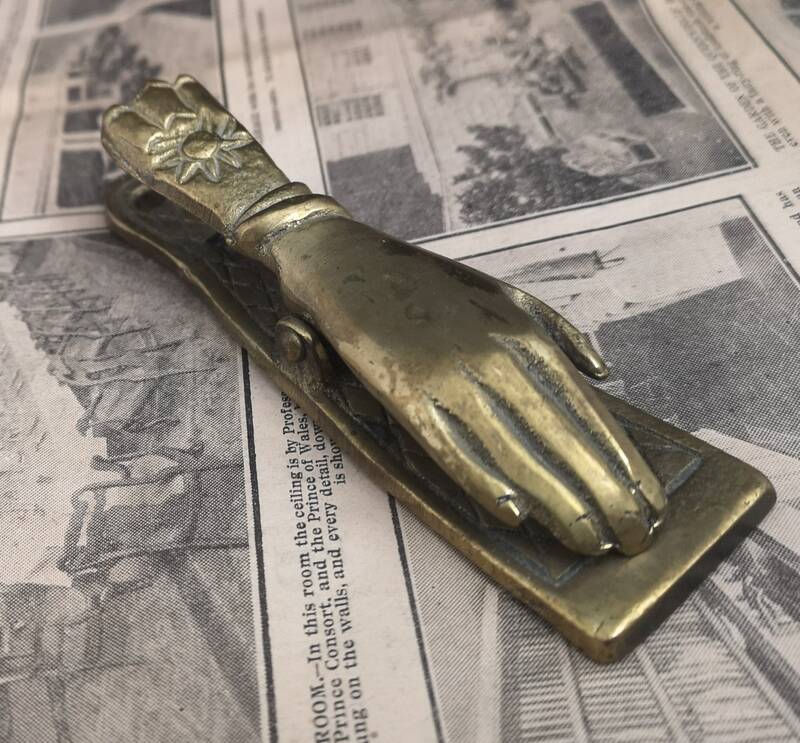 The hand is elegant and there is a flower embellished to the cuff, the golden finish of the brass will fit to many different decor schemes. 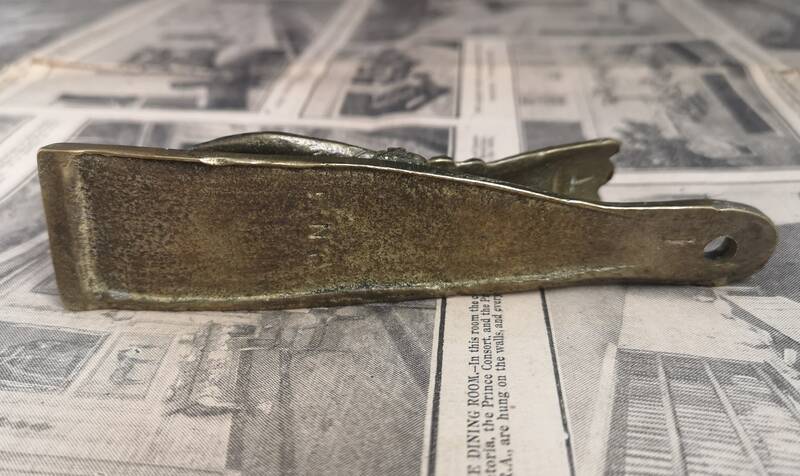 It is marked on the underside probably with a reg mark but this has worn significantly. 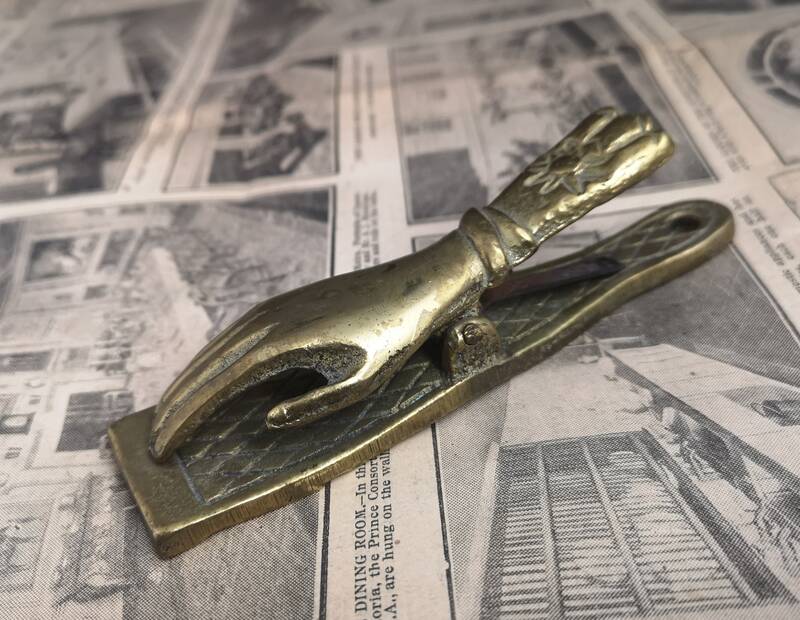 Approx 5" length, 1.5" width and 1.5" height.